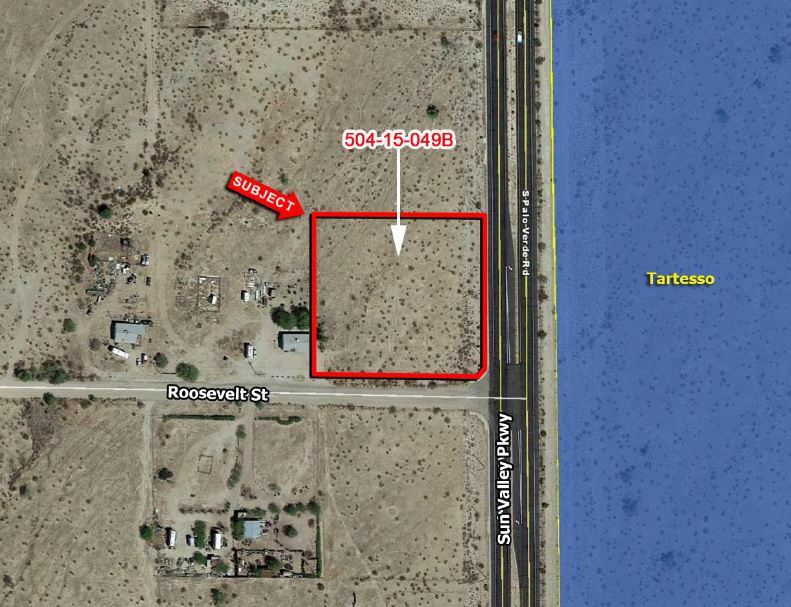 Great investment opportunity on the very busy Sun Valley Parkway which connects the Northwest Valley to I-10. Minutes from fast growing Tartesso master-planned community. Sun Valley Parkway has an existing median break at Roosevelt.